Transradial is one of the big buzzwords in interventional cardiology these days. In the United States practitioners recently have been discovering its advantages and have been learning how to perform it successfully. 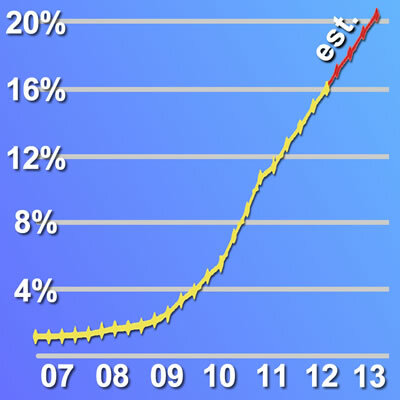 Utilization of transradial in the U.S. has jumped from 2% to almost 25% in less than a decade. In Europe, Japan, India, and China, transradial has been used for years and in most of those regions adoption runs from 50-90% of all catheter-based procedures. In Japan, and now in Europe, a specialized group of physicians has been pushing the limit of what can be done via the wrist artery, using “slender” procedures and equipment, with systems using 3, 4 and 5F sized catheters. On October 23-25, 2014 the 3rd Advanced International Masterclass on the Transradial Approach will be held in Chicago and, if you already perform or want to start using the wrist approach to diagnostic or interventional procedures, you need to attend. Where else will you be able to spend two-and-a-half days with the most expert and experienced radial practitioners in the world?